The popular Harmony shade is now in my makeup bag too. + Pictures by daylight. Why hello there! I’d like to tell you about the product I can’t do without when I put on my makeup every morning. I don’t use this blush as intended, as well as many other girls, I guess Yes, firstly, it’s a blush, but the shade is so good that I can easily use it as a sculpting product too. 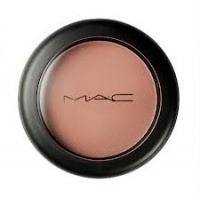 MAC Harmony Powder blush is a perfect sculpture powder but not for very fair skin. Sculpture powder in #Harmony is my long-desired product. I’m not a great fan of sculpting my face but to have a good sculpting powder in your beauty bag feels like some kind of obligation for girls these days. In MAC they are called the blush. I’m in paradise. The most beautiful blush in my life! When reality is even better than expectations! Sleek Californ.I.A 370 palette. Swatches of the three softest shades.